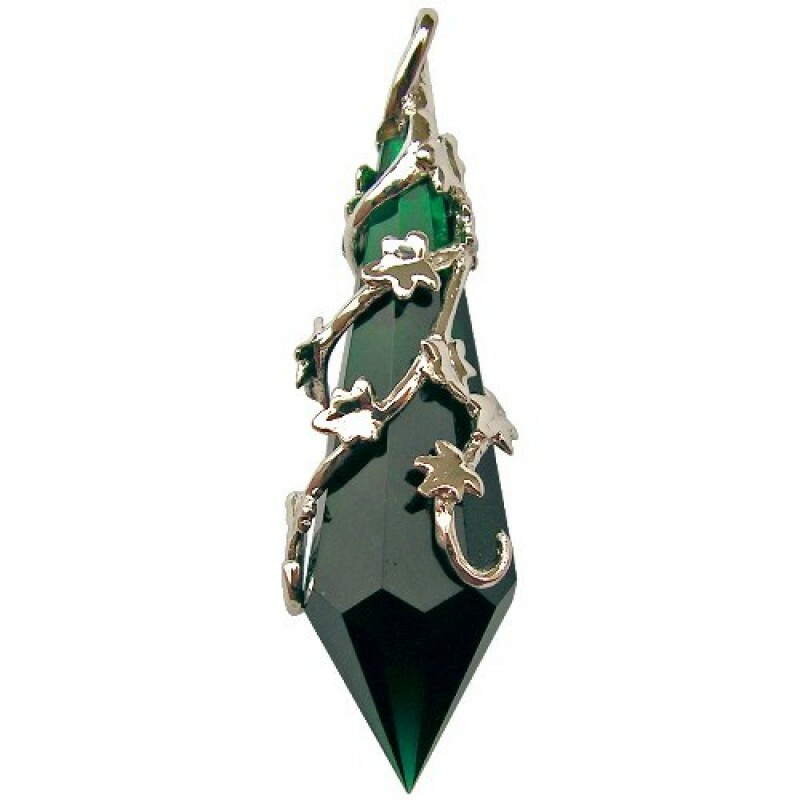 My evergreen ivy wraps snugly but does not confine, clasping close with a promise to keep my crystal’s powers of faithfulness and good friendships for me alone. Designed by fantasy artist ANNE STOKES, each Crystal Keepers enchanting pendants are silver plated with Cubic Zirconia crystals and come with a 18" chain, satin keepsake pouch and leaflet. 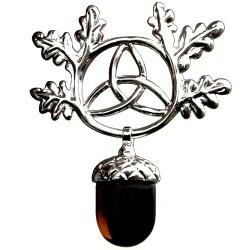 Approximate Size: 2" x ¾"
My Triskel bears three-fold blessing in a sacred oak circle, attracting good fortune and promising t.. 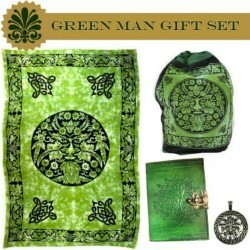 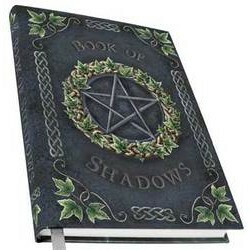 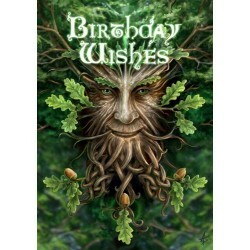 Inside reads "Birthday Wishes" Approximate Size: 4¾" w x 6¾" h ..
A collection of Green Man Gear that includes a 17" x 20" Green Man themed green and black backpack (..
Embossed Ivy Book of Shadows designer journal collection.  Beautifully embossed metallic paper highli..